Also on Monday night, you can watch a replay of the Foxboro Rotary Clubâ€™s 40th Anniversary and the Service Above Self Awards Monday Night at 8pm. Â This years recipients include: Bill Hocking, Steve Massey, Bill Milhomme, Rita Giovino, and Daniel Peterson. Â and donâ€™t miss special guest Sarah Palin. 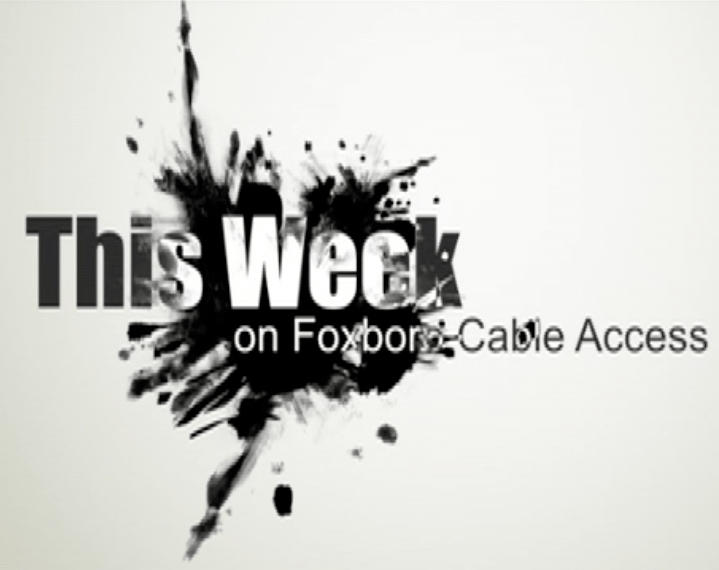 On Wednesday The Foxboro Historical Commission moves to Channel 22 with the premiere of the 13th Continental Regiment Reenactors in Honor of Ezra Carpenter, program begins at 6:30pm. On Friday we kick off the season with a replay of Foxborough High Schoolâ€™s Holiday Concert. Â This program begins at 8pm. We hope you can join us and thanks for supporting community media.